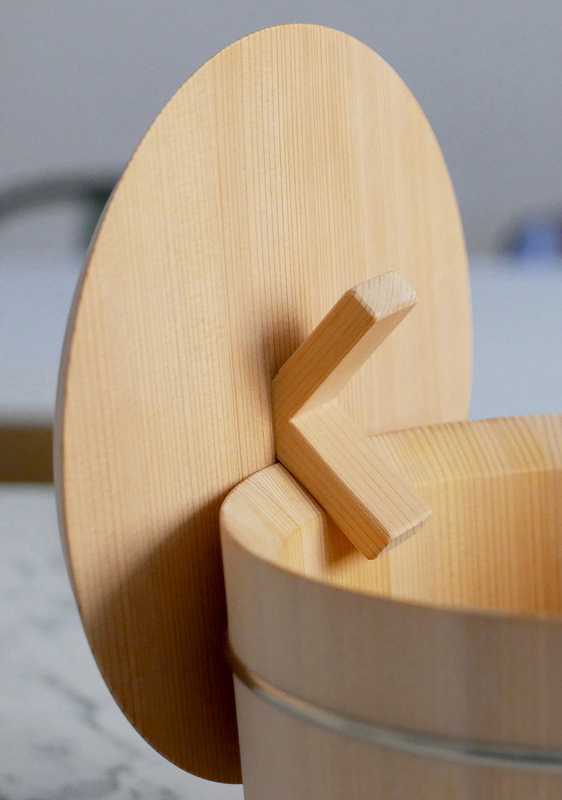 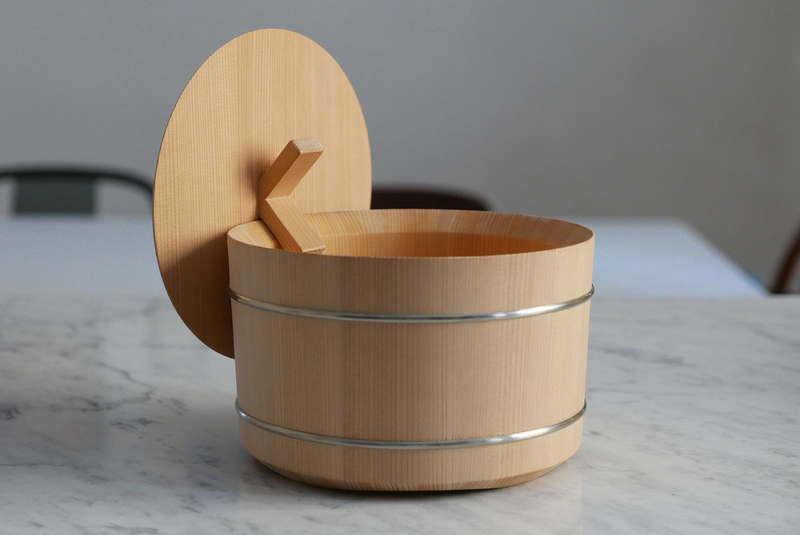 Shōri is a box for rice, handmade in Shiga by the famous Japanese craftsman Shuji Nakagawa, for the brand Hands on Design. 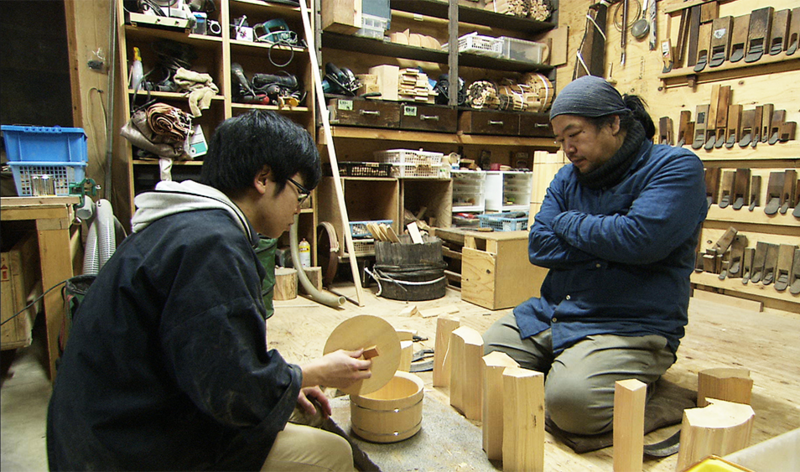 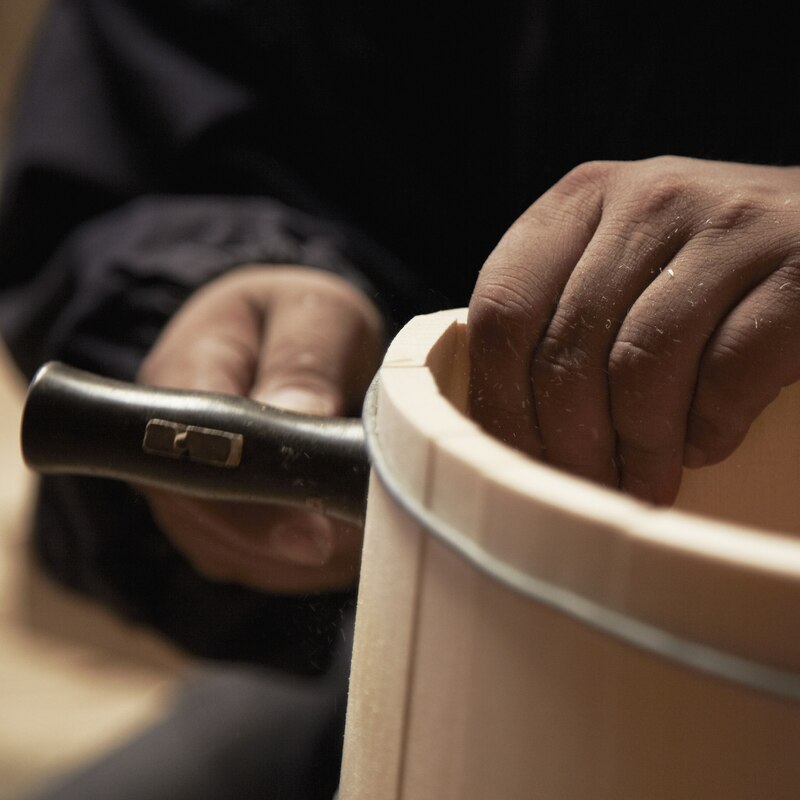 I tried to combine the traditional Oke technique – through which buckets made of Japanese cypress are manufactured by tying together wooden strips with metal rings using only pressure and no glue – with aesthetic and functional innovations. 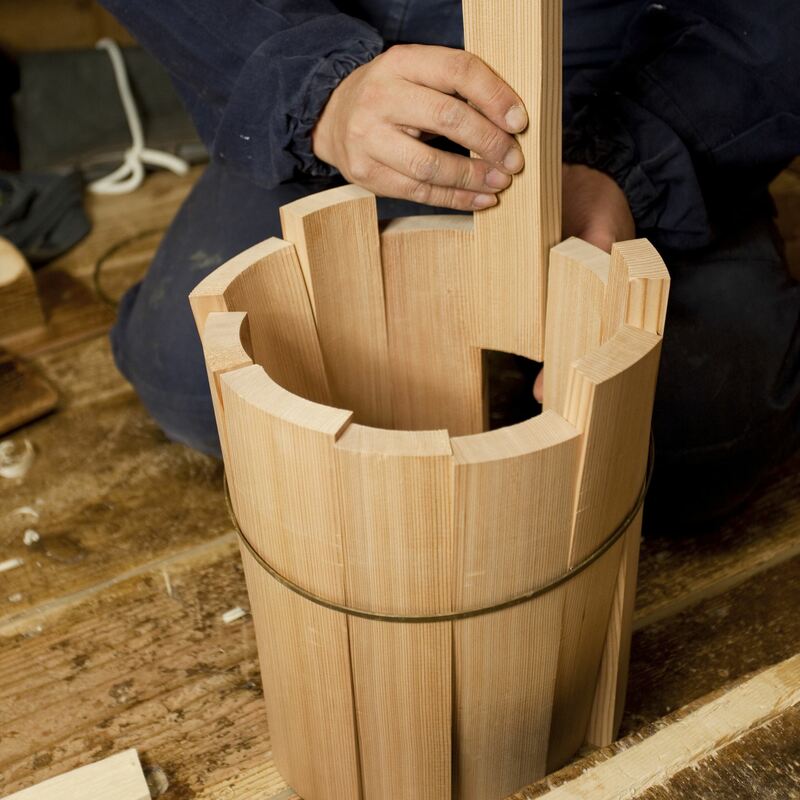 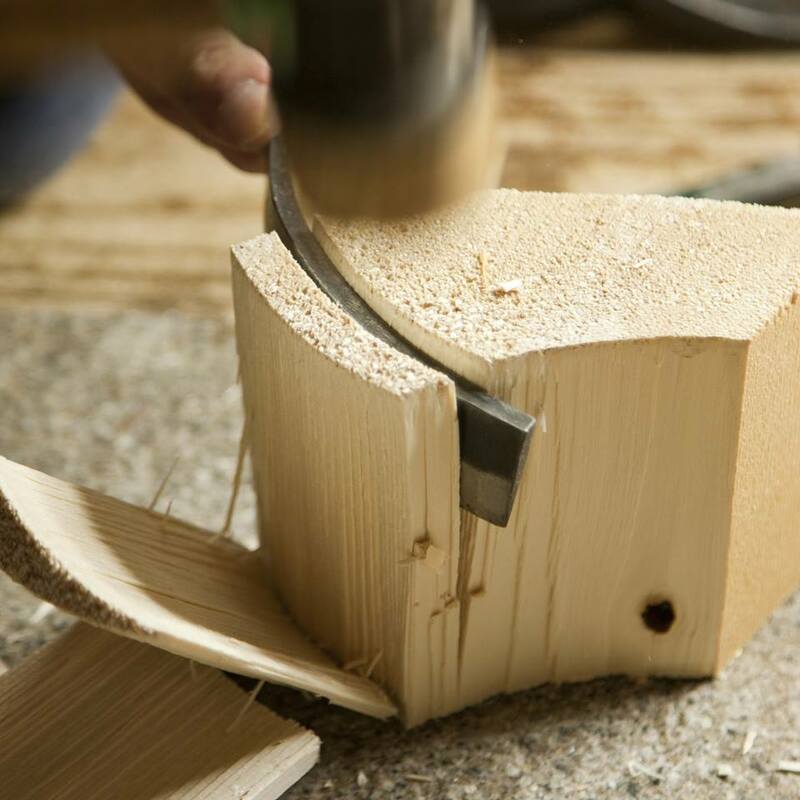 The heart of the project is the knob placed on the lid, made of two wooden parallelepipeds, fixed perpendicular to each other. 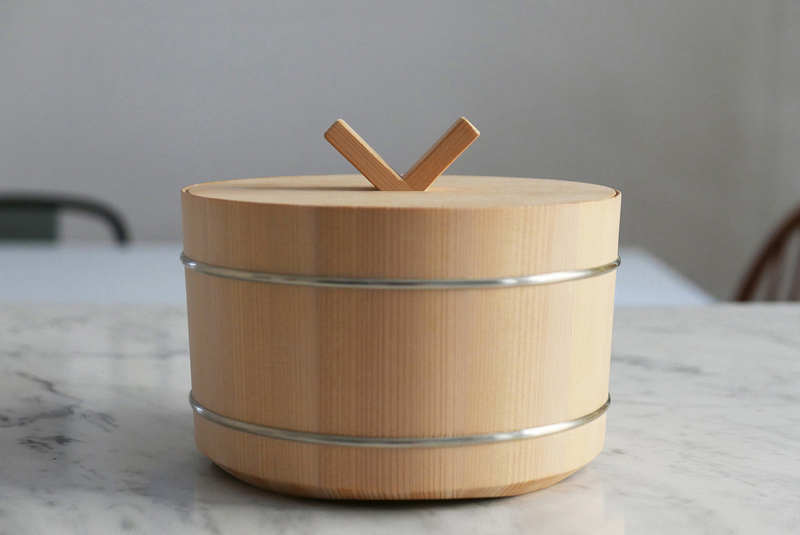 Thanks to the V-shaped knob, it is possible when at the table, to hook the lid to the bucket without taking up additional space on the table top. 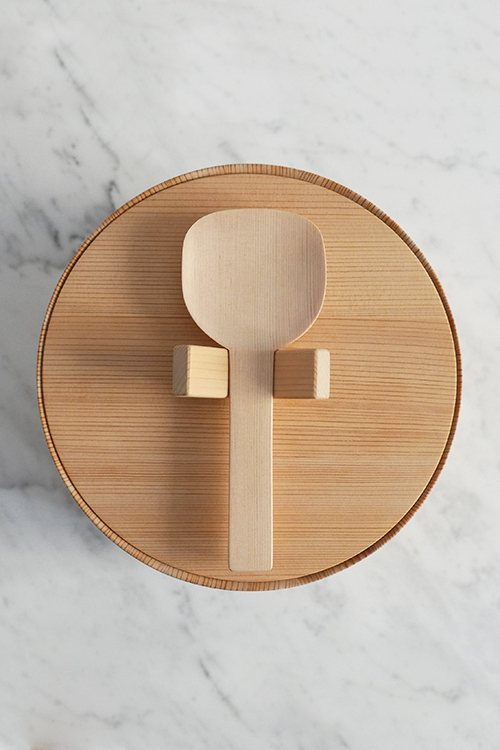 The knob also holds the spoon that, perpendicular to it, finds its perfect position. 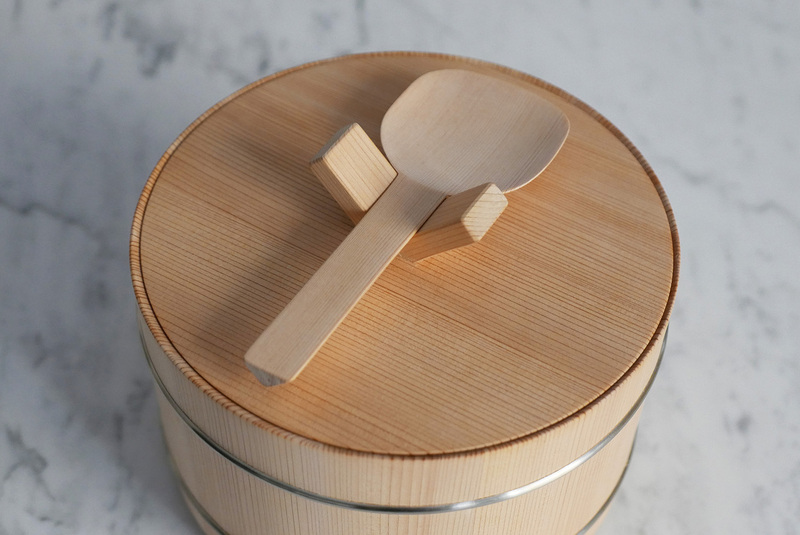 In the smallest size, it is ideal for sugar, salt or coffee.